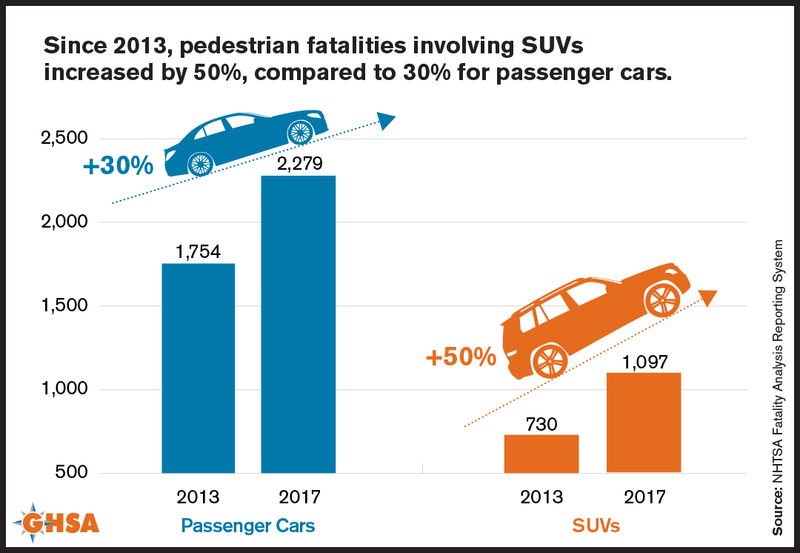 GHSA's annual spotlight report, "Pedestrian Traffic Fatalities by State: 2018 Preliminary Data," offers a first look at state and national trends in 2018 pedestrian deaths. 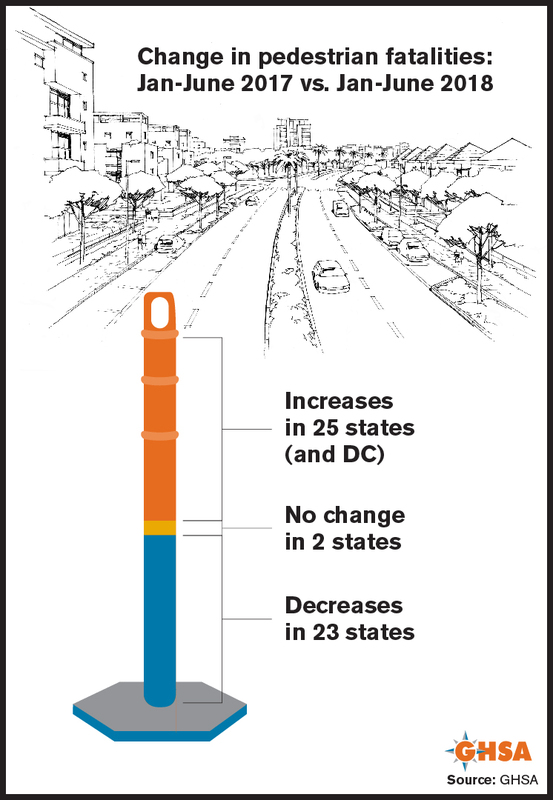 The report projects 6,227 pedestrians were killed on U.S. roads in 2018, the highest number in nearly three decades. 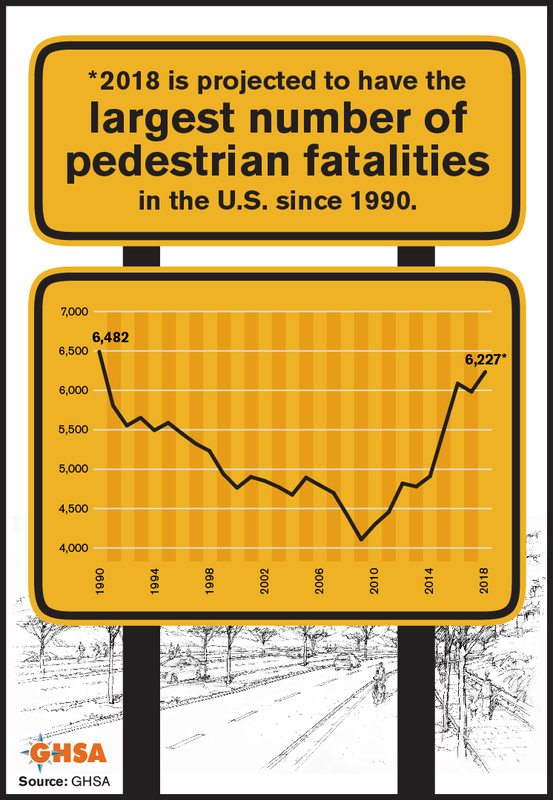 GHSA's projection represents a four percent increase in the number of pedestrian fatalities during 2018. 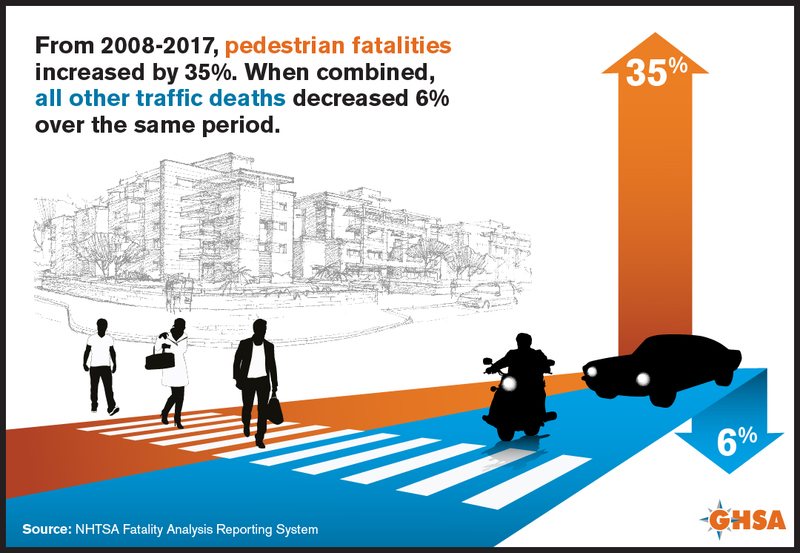 The report examines a number of factors that may be influencing the rise in pedestrian deaths, including increased exposure; unfriendly infrastructure; unsafe driving behaviors; and increased presence of sport utility vehicles (SUVs). Additionally, comprehensive infrastructural, educational and enforcement approaches are discussed as promising strategies to reduce pedestrian and motor vehicle crashes. The report was researched and authored by Richard Retting of Sam Schwartz Consulting. 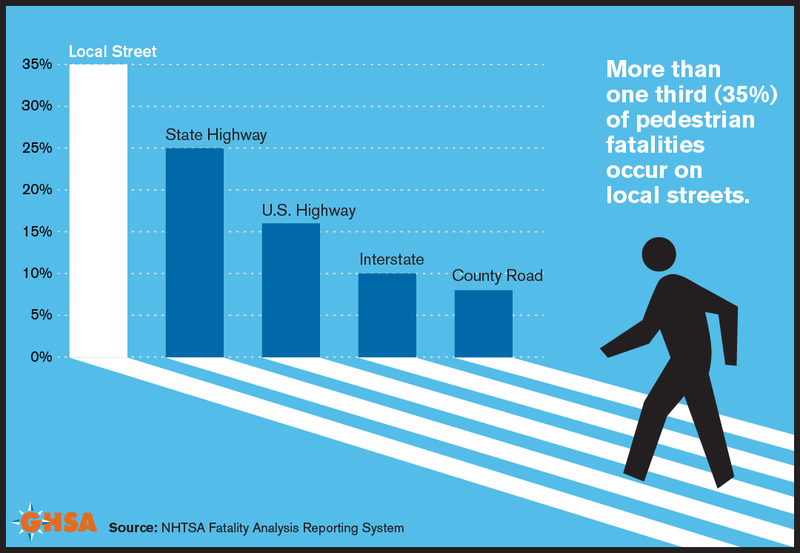 Download "Pedestrian Traffic Fatalities by State: 2018 Preliminary Data"